Saint Ignatius Loyola School’s Jazz Ensemble is open to musicians in Grades 5 through 8. 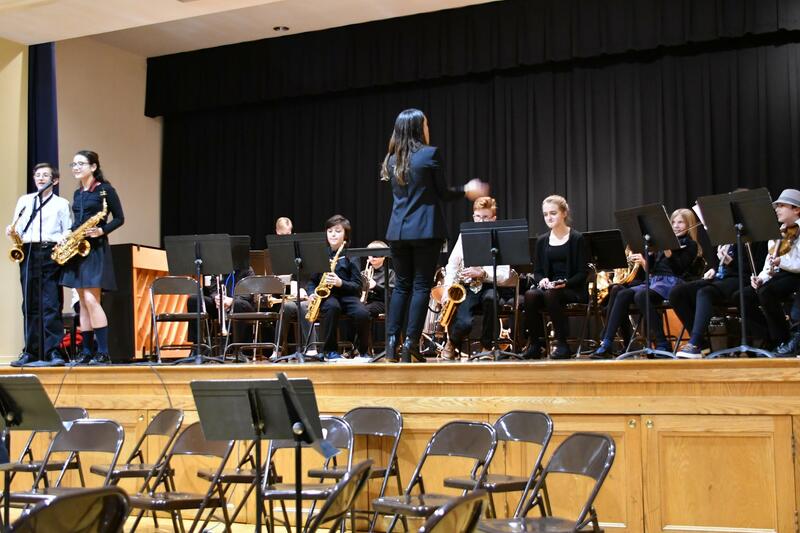 The Jazz Ensemble offers students a unique opportunity to perform together in a relaxed and supportive group setting. The objective of the ensemble is to foster music literacy, musicianship, and creativity through instrumental performance, collaboration, and improvisation. There are currently spots available for the following instruments in the Jazz Ensemble: alto saxophone, tenor saxophone, baritone saxophone, clarinet, flute, trumpet, trombone, French horn, electric guitar, electric violin, bass guitar, drum set, and piano.